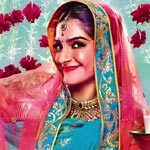 "Dolly Ki Doli" is a 2015 hindi film which has Sonam Kapoor, Rajkummar Rao, Pulkit Samrat, Varun Sharma, Rajesh Sharma and Malaika Arora Khan in lead roles. 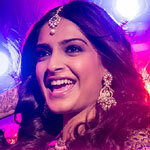 We have 5 songs lyrics and 5 video songs of Dolly Ki Doli. Sajid-Wajid has composed its music. 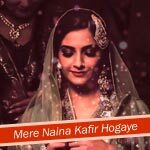 Rahat Fateh Ali Khan, Divya Kumar, Wajid, Danish Sabri, Sunidhi Chauhan and Mamta Sharma have sung these songs while Kumaar, Irfan Kamal and Danish Sabri have penned its lyrics.